These are the official contest rules. Please read them over very well, as we have had some goof ups over the last couple of contests. 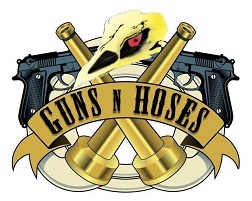 We need every bird to count!! This is a all in good fun contest, there will be no prizes , to keep things friendly and sporting--but it is a contest so it is understood that you will need some kind of scale to play- I provided some good examples of how to score , and submit pictures to make this a smooth process-also all Beards entered must have a picture clearly showing from the tip to the hairline - and multi beard turkeys must have pictures of the root of the beard where it is splitting to the tip(s) -- please keep in mind that the top scoring teams at the end of the game will have their measurements verified for accuracy, so be honest in scoring-- have a picture of you, you may have your screen name and measurements clearly printed on sheet of paper -- post your kill to your teams kill thread , we will not be hunting down your score. 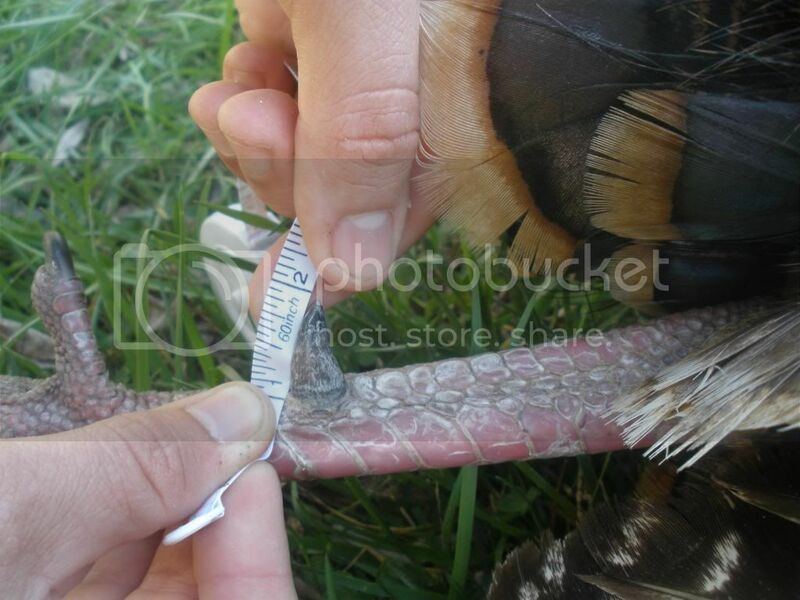 If you shoot better gobbler, repeat the process and your captain will upgrade the team score and keep a weekly running tally for all the other teams to keep track of who is winning. 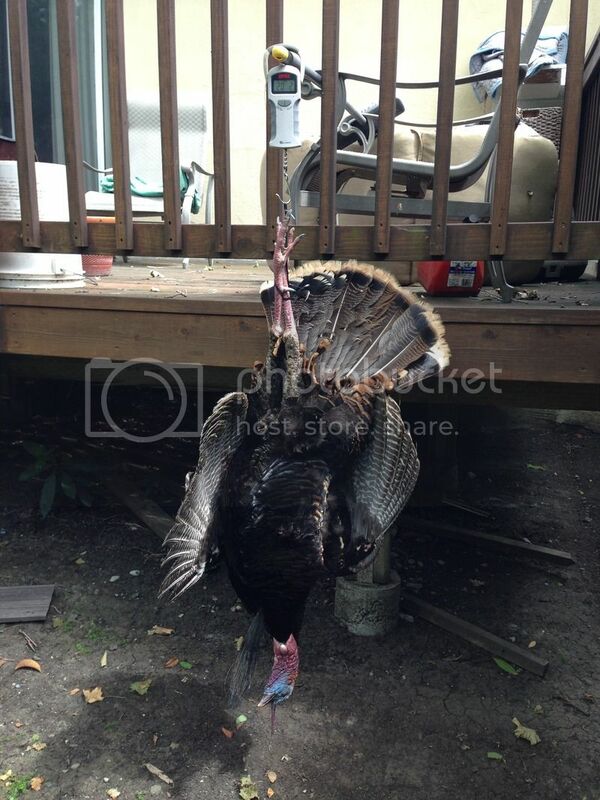 After a gobblers score is posted if I don't hear any issues about it after 2 weeks, the score is final. It is the obligation of each contestant to score and submit their own gobblers and have that score posted along with your gobblers pictures to make the contest run smoothly, your own individual team captains will assist you in this process if you need help, the team captains will follow up to make sure this process runs smoothly and will post a weekly tally of the combined teams score , replacing a team members best scoring gobbler when needed--There is a maximum of 1 best scoring gobbler per that team member. "We" the staff will not be hunting down your post on the forum board looking for what you killed - You make a post in your teams kill thread and try and score it - the captains will keep a running tally updated and posted of your teams progress. Only the longest beard of a multi bearded gobbler will be scored for the Team contest this is a subject of controversy , there may be a separate Individual non typical (not team ) contest gobblers may be scored in both but in the team contest only the longest beard or spur on each leg. 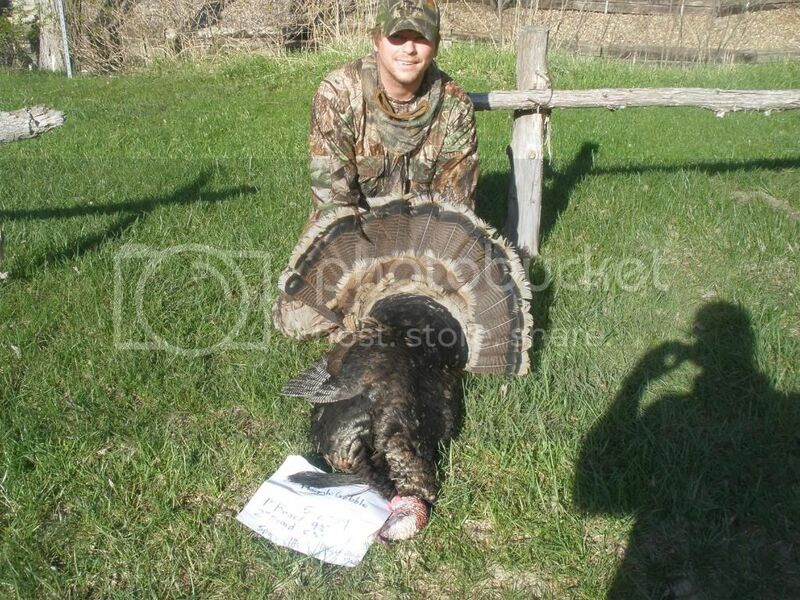 Here is a example of what your score pictures need to look like to have your gobbler scored in the contest. 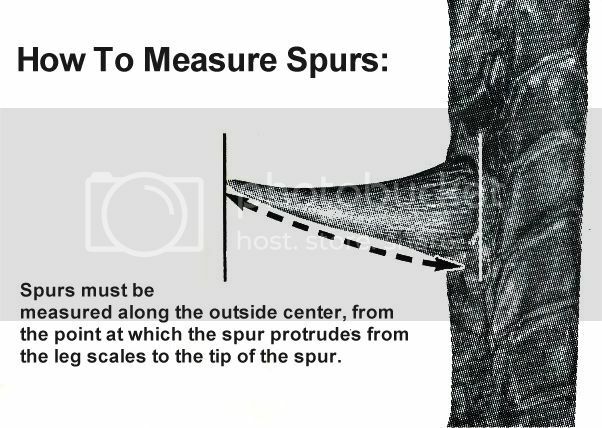 Notice the clear pictures with his forum information and the SCALE etc etc etc.... A beard measurement from HAIRLINE to TIP and using the correct spur measuring method with CLEAR pictures showing the tape ruler!